This is Gayle George. She is a great friend & fellow artist. I go to her for advice, inspiration & encouragement. She is indispensable to me! I painted this for her to express how much she is in every piece of art that I create. Thanks for being there Gayle! 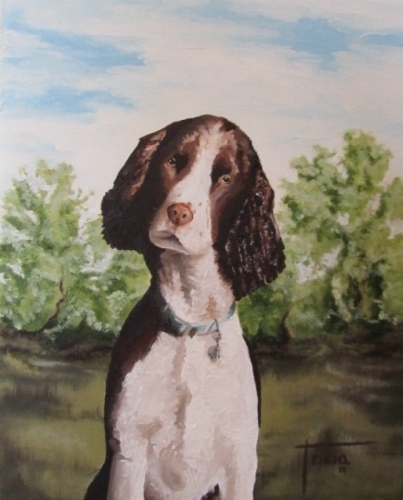 This is my first attempt at an animal portrait, and a tribute to the beloved pet of a very dear friend. Ally was quite a character, much like her 'dad' and I hope this portrait makes him smile in her memory each day.